AGSE and Sigma Tau Delta have joined forces to host a conference 4/16-17. Submission Deadline February 19th for proposals for Explorations of Text and Writing in Creative, Historical, Sociopolitical, Pedagogical and Metaphysical Spaces. Please Do tell your Honors students, Grad students and other likely interested folk. Faculty Award Nominations Due February 19th. In recent years some English Dept men have won. Let’s nominate some deserving women and some deserving men! Local Opportunity to let yourself be heard on 2% versus 5%. Chancellor’s Open Forum this Friday 1:30-2:30 at Plaza del Sol. You don’t have to go to Long Beach only across campus. If you want to show solidarity for 5% Wear your free red shirts given out late last year or Wear any red shirt/blouse. To not disturb the forum in process come by 1:00/1:15 please. Comics and Visual Culture, a symposium on Saturday Feb 27th at the University Student Union. Students may submit their work until Feb 1st. Contact Professor Frances Gateward or Charles Hatfield for more information. Probationary Faculty Grant Due March 1 by 4pm Do the proposal so you can get a little more time to do your research. So Many People working hard and Getting Results! Alumni Cody Deitz’ chapbook of poems Pressed Against All that Nothing was published in the Native Blossoms Chapbook series of Yak Press. Leilani Hall describes the poems as “poems of addiction, recovery, fraternal love, and a Ginsberg-like faith that there is salvation in poetry.” Cody is now working on his Ph.D. at U of N. Dakota. 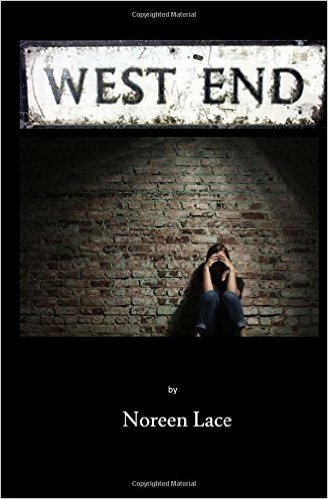 Stephanie Satie’s Silent Witnesses will be at the 13th Street Repertory Company in New York City March 17th thru April 3rd. “Revealing and powerful . . .” according to the Tolucan Times. If the snow clears and you are in New York, you may want to see it. 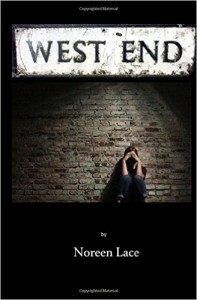 Noreen Lace’s novella _West End_ has been published by REaDLips Press. Looks interesting…..
Joseph Galasso’s “Small Children’s Sentences are ‘Dead on Arrival’: Remarks on a Minimalist Approach to Early Child Syntax” was published in the Journal of Child Language Acquisition and Development (V3 N4 2015). Sounds interesting.